Jack was interviewed on several occasions. Here are some interviews and photo’s from Indonesia, Poland and Bulgaria. All Dutch interviews and articles you can find on the Jack Lance Community website. After the succesful publication of his first novel Pyrophobia, Jack was in Jakarta in december 2016, for the presentation of his novel Dark Memory. 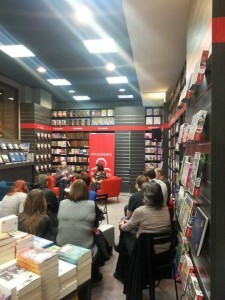 He also was present at the bookpresentation, in the centre of Warsaw, where the publisher has his own bookstore. Within a week the first printrun of Plomien Strachu was sold out! 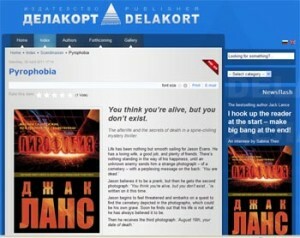 July 2011, Jack had an interview with Sabina Theo from Delakort Publisher about himself and Pyrophobia. 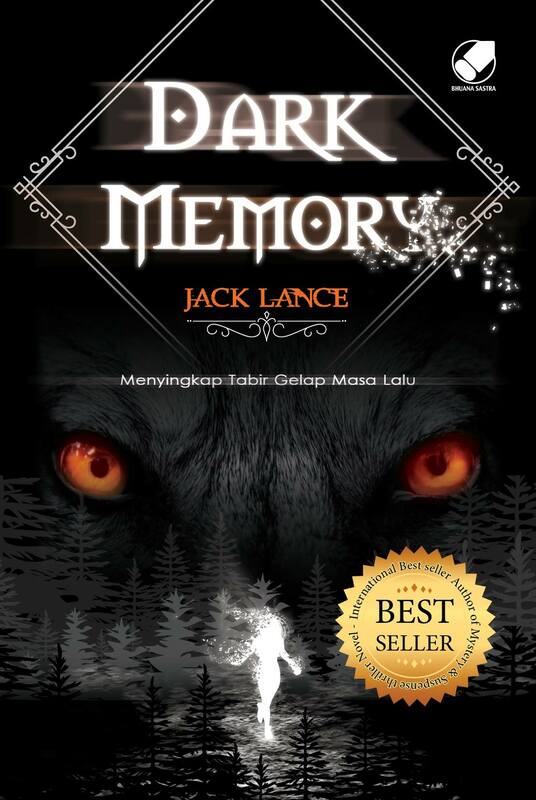 The bestselling author Jack Lance. I hook up the reader at the start – make big bang at the end! Mr. Lance, would you tell us how did you begin writing? Usually we have to overcome some obstacles until we publish our first book. What obstacles did you meet? I have been writing since I was young; I always knew that’s what I want to do! Obviously it wasn’t easy getting published, so I started out with self-publishing. 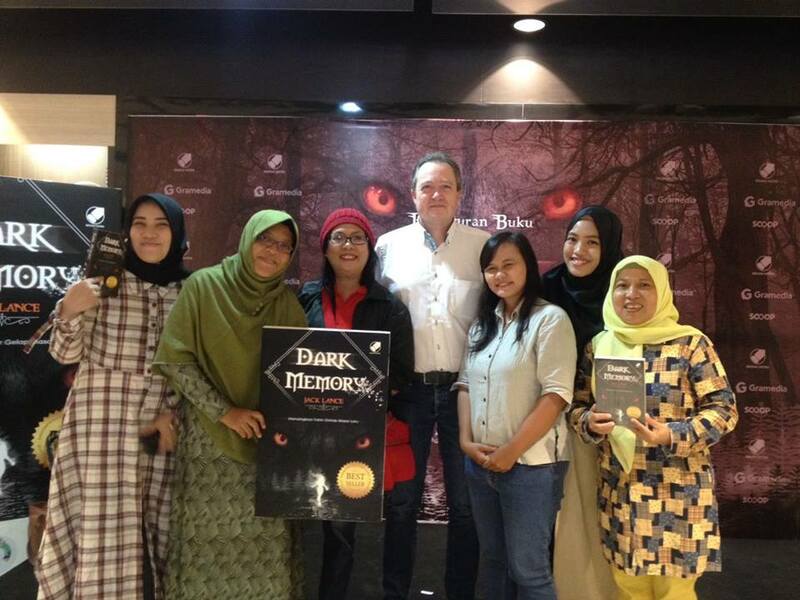 Luckily I was quite successful and I attracted a lot of readers; then publishers started showing interest as well. I must thank one person in particular for removing a few of my doubts: my friend and fantasy author W.J. Maryson, best known for his Unmagician books, who opened doors for me to the international publishing world. Sadly, Maryson passed away earlier this year. You are writing under a nickname, why? I think it’s more exotic, I like using a fancy name, and it seems to work well on the international market. How was your interest to the paranormal born? 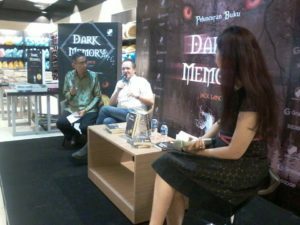 Have you, personally, witnessed any paranormal phenomenon and unexplainable cases, and if yes – what kind? It has always fascinated me; I don’t know why – maybe same reason that was pushing me ahead to be a writer. I think it was the curiosity that attracts me – I wanted to know what was out there, beyond what we could see and hear. There is something more, you know! Except a writer, you are a journalist as well. As a journalist myself, I always prefer to write about the good news and beautiful things in life – I think that in this way we restore the balance disturbed by too intensive flood of bad ones every day. What are your favorite articles and why? I can agree to that, my favorite articles are about people going through a real rough time, and coming out of it better and wiser. Usually, when the paranormal is involved – with ghosts, black magic, curses and stuff like that – people do go through some very hard times. But if they find the strength to overcome all of that they’re usually enriched greatly on a spiritual level, and yeah, that’s great. You live in Holland. It is possible for a writer in your motherland to make a living only through writing? What is the situation with the literary market at the moment? It might be possible if your name is Stephen King. I’m not there yet, just doing my best. The literary market has had better times, but this seems to be the case in more countries, alas. In what respect the contemporary European literary market can be improved? I’m positive. A lot is going on these days, thanks to the social media on the Internet. Like-minded souls find each other and help one another and I’m sure therefore the quality of writing is steadily improving. One thing is changing less quickly though, and that’s the fact – at least in my experience – that authors are too busy writing stories instead of going out and meeting their readers or would-be readers. That’s also a way of improving and expanding the literary market. We have all witnessed how excessively mediocre readings turn to a bestseller. What is the reason for that? Good marketing, but that’s part of the answer. Every publisher tries to sell each and every, but still some books are popular and others aren’t. Well, luck surely has something to do with it, and for the other part we may have to accept that what readers want might not be the same as what experienced critics are looking for in a story. A romantic novel burdened with clichés can easily sell better than a critically highly acclaimed work. I think that’s fine. It’s the reader who matters and if he or she is enjoying a book – cool! Your criteria in respect to a good book in general? And your criteria to your own books? Suspense, action, easy to read, chilly, scary, surprising, nice twists… I want to hook up the reader right at the start and go out with a big bang at the end of the story. I love it when someone comes up to me and says he or she didn’t see the ending coming. They say that in order to write, the writer should live, in the first place. Do you agree? And how your personal experience finds its reflection in your books? Sure. And now you want me to tell about my life. Phew. That would be a long story. Let’s just say I had my good times and bad times, like everybody else, and sure, I’m using that in my stories. I haven’t checked it myself, but if you were to read between the lines in my stories, I’m quite positive you’d find some of my anxieties, desires, hopes and dreams buried right there. What is the strangest case in your life? I myself am not paranormal but I did encounter some cases that were strange and yet overwhelmingly exciting. In particular was I stunned, when researching as a journalist a few cases formed of so-called madness can be cured. But that again is a long story. There is more in life than meets the eye, I think so. As happiness isn’t a given for anyone, in a way it is also ‘strange’ I believe that I’m successful with my books and that I’m just happy with my life. How the idea about “Pyrophobia” was born, and how much time did you spend on writing it? How does your work day look like? It was a puzzle. A few ideas came together. I fancied the idea about the photographs and… but I’m not telling anymore, as not to spoil the plot. Go and read the book! It’s fast and action-packed and it turns around a few times before you’re at the last page! It took me quite a year to write and maybe half a year to rewrite it, to improve it. My working day? I start writing, sometimes the whole day, but mostly only for a few hours, as there are always other things to do as well. What is the best advice that you can offer to the aspiring writers? Keep at it! Never give up. And if someone who knows better tells you that what you’ve written is crap, don’t sulk in a corner (many writers seem to do that, sadly) but try to make your critic proud with your next story. You had a huge success. 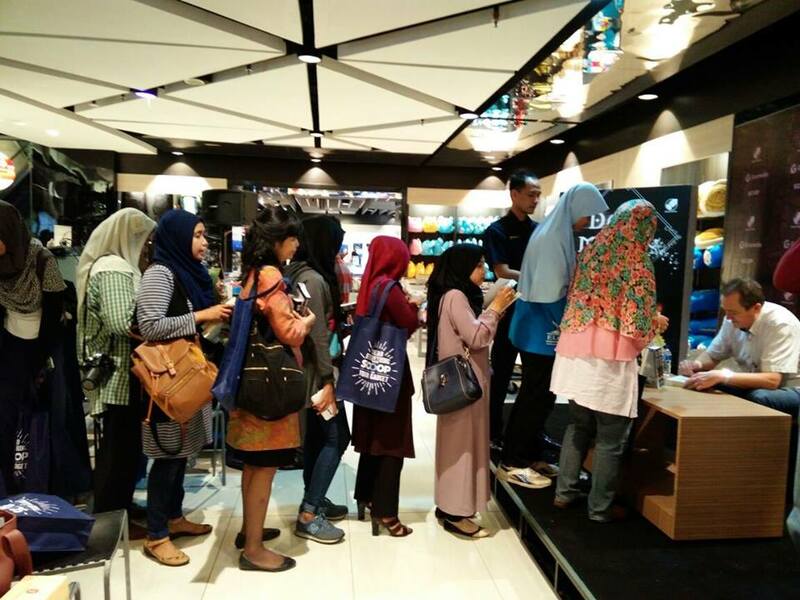 What is the formula of success on the literary market? Good, crisp writing and good ideas. Hmmm, although I’m not trying to educate, I do believe that my type of story is a kind of positive horror. By confronting fears, you can get rid of them. And the paranormal in that horror isn’t scary, weird or mad, but a medicine for the cure. I notice that we have common tastes in literature – Stephen King for instance. I also know that they call you The Dutch Stephen King. Having in mind my previous question, I often have to explain to some people that King is an extremely serious writer who, unlike many others, always puts in his stories a higher idea. Horrors are only a drapery against the background of which King makes profound and critical vivisection of the modern society. Which is your favorite book of his and why? My favorite King’s book is The Stand. Maybe because there again you see basically a story about people coming out better and wiser after overcoming great difficulties. Also, The Stand is one of a kind storytelling. King says that you can achieve perfection through repeated re-writing. How many times you re-write your books? Depends, really. But a few times at least. Firstly I’m dreaming about new novels – and I’m working on that. And I wouldn’t mind movies being made of my novels. Well, you asked for my dreams… Anyway, I believe also that if you really want something and you’re prepared to work hard for it, it’ll come your way. And in conclusion – what is your wish to your Bulgarian fans? I hope to meet you all and shake hands! I’m sure I’ll come to Bulgaria some day.